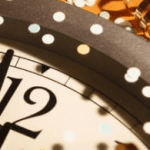 Hopefully just by reading the blog post title, it got your attention! It may seem like a bit of a bold statement and I’m sure many of you disagree with this statement. However let me try to explain my point of why I think affiliate marketers are the best marketers at out. Before I explain my reasoning, I myself have a background more so in the world of search and not affiliate marketing. However over the last year or so, I have really made an effort of studying the top affiliate marketers and how they make money online. A few things I have picked up along the way is that some of the most balanced and well-rounded marketers are Affiliates. If you are not familiar with what affiliate marketing is, it is basically where a marketer promotes someone else’s products or services and they receive a commission for driving a conversion (purchase/lead). It also can be called CPA marketing or Cost Per Action marketing. So you can imagine that for Affiliate Marketers to make a full time living, they need to produce results. If they don’t…they won’t make any money. On the other hand, as they keep making more sales, they are rewarded with bigger commission checks which can make affiliates work even harder to figure out how to drive traffic and make more sales. 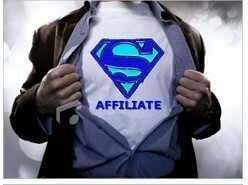 Affiliates are some of the best at doing research to find out if a niche is lucrative or not. They know how to balance keyword volume with competition in order to come up with the right strategy for maximum exposure and sales. Affiliate Marketing is all about driving targeted traffic to a website, landing page or squeeze page. In order to do that, you need to have a vast array of knowledge is all of the different types of traffic generation. 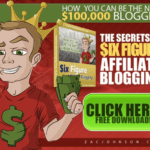 This can include SEO, Paid Search, E-mail, PPV, Social Media, Niche Blogging, etc… Not only is traffic generation important, but knowing the right type of methods to use depending on the type of product the affiliate is promoting. May affiliates have actually tried multiple traffic generation methods, so they have REAL experience. Unlike marketing who rely on just SEO or just PPC, affiliates have a larger understanding for driving traffic. This is especially helpful for when one traffic source drys up, you can fall back on other traffic sources. Ok so you know how to drive traffic, but you still need to convert them. Using compelling copy-writing and making a potential buyer take action, it what can separate a good affiliate from a great affiliate. Probably the biggest skill that all great affiliate marketers have, is understanding how to make a positive ROI. A great affiliate marketer should be able to analyze the competition to see what is working and what isn’t working, before they even execute on their strategy. For example, if a company is doing a lot of PPC marketing on specific keywords, a good affiliate marketer should be able to do some recon on those competitors and be able to mirror their campaigns OR improve on them. Furthermore, they should be able to know exact which types of traffic generation methods make sense to implement based on the margins and ROI. Affiliate Marketers are great testers and understand the key elements of a landing page that can impact conversions. As we mentioned above, an affiliate only makes money when they make a sale/lead, so they NEED to know what is working or not working…or else they are just wasting their time and money. Using analytics and usability testing tools, they need to be able to track all of the different campaigns they have running to drive traffic and monitor then adjust. If you are trying to sell something online, you need to understand that their are different types of searches. There are informational searches, where a user is educating themselves on a certain product or topic. There are navigational searches where the user is trying to find a specific site. Then there are transactional searches! This is a user that is ready to buy and looking for a place to purchase whatever they are looking for. This is what Affiliate Marketers understand well. They know buyer keywords/phrases and understand how to put themselves front and center. What do you think? Do you agree? Is there another type of marketer that has more real-life experience and variety of skills than someone who has been an affiliate marketer for years? ?